When uptight missionary, Lucy Boyd is injured her only ride to the hospital 200 miles away is the scary looking guy who delivers their supplies every two weeks. Not only is he scary, he's obviously quite heathen based on the earring in his ear, the heavy metal music blasting from his truck when he pulls into the compound, and his salty language. Sunshine poured through the open window of the small medical facility in the center of the mission compound deep in the jungle. The ceiling fan whirred overhead, not providing much relief from the heat or oppressive humidity of the day. The walk-in clinic was, as always, packed with everything from sick children to knife wounds to animal bites. Word had spread about the medical health center with its free medicine, and people would walk for days to reach it. Lucy smiled. She’d been in the mission field here in the Congo for two years now. Despite being the only doctor for the last six months, she loved it. This was far more varied than anything she’d seen as an ED doctor back home. Most importantly this was where God wanted her and where she could serve Him the best. If they tried sending her home, she’d refuse. She dreaded her upcoming furlough later this year. Maybe she could defer it again. There was nothing and no one in England she particularly wanted to see. Here she’d be of some use. Just as the last patient for the morning left, the all too familiar roaring engine of the supply truck filled the compound, accompanied by the usual heavy metal music blasting at full volume. She sighed. It could only be one person. Jed Gorman. The most irritating and intimidating heathen man the Good Lord had seen fit to put on the face of the planet. He was the type of man she’d avoid like the plague given half the chance. And she definitely wouldn’t want to meet him in a dark alley. The only blessing was the fact she merely had to see him for a few minutes every two weeks when he brought the supplies. And even better, she was never alone with him. Just the thought of that turned her stomach in dread. She peeked through the window as the usual gaggle of children surrounded the truck, laughing and calling. The driver turned off the engine, opened the door and unfolded his tall frame from the truck. His long dust-filled brown hair needed washing, never mind cutting, and his white shirt and khaki trousers, which had seen better days, could do with the same treatment. The sun glinted off the metal stud in his left ear, and his beard looked even more unkempt than it had two weeks ago. “G’day! How ya going?” His familiar, over cheery greeting made her shudder. “Angels and ministers of grace defend us,” she whispered as she shook her head. He handed out sweets to the waiting kids. He’d be better off giving them toothpaste. She tugged the top of her scrubs down, praying he’d remembered the vaccines this time. And the other things she needed. The kids scattered, and as Tim Lawrence, mission director, made his way across the dusty compound to the truck, Lucy turned away from the window. She headed back to the exam table to start clearing up. The less time she spent in Jed Gorman’s presence, or thinking about him, the better. Picking up a cloth, she began to wipe down the surfaces with antibacterial spray. She liked to keep her surgery spotless—far safer for all concerned, that way. Heavy booted footsteps clomped up the wooden steps outside and across the verandah. The door swung open, and he crossed the room, no doubt bringing in dust and sand to cover her newly swept floor. She could smell him from here. The intoxicating mix of pine and woods and mint that almost conflicted with the tough guy image Jed Gorman held out around him like a shield. “Working, Mr. Gorman. The same thing that you are.” Her answer, just like his greeting, never changed. She turned and ran her gaze over him. His sleeves were rolled up to just above his elbows, exposing well-tanned, muscular arms wrapped around a crate. There was something about the man’s arms and the way the long vein from elbow to wrist stood out, that set her heart pounding. But enough of that. Her mind shouldn’t go in such directions. Besides, Jed Gorman didn’t count as a man or eye candy or anything other than a menace. Lucy smiled and pulled out the brown parcel. She ripped the paper, exposing the packaged gift wrapped in pink paper and well-padded to protect it. She opened it, ripples of pleasure making her smile widen. Dried violets, pressed into a glass frame. Along with a birthday card. She’d have to hide that or everyone would know. She slid the card into her scrubs pocket. “My mother. 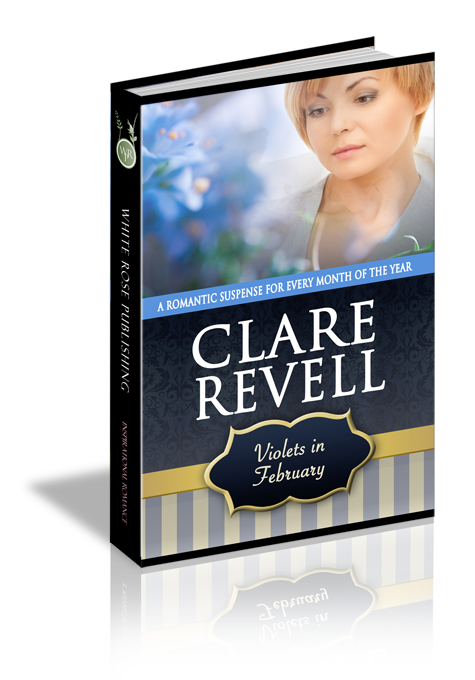 I love violets, but they don’t travel well.” She set the frame down and continued to unpack the box. His grin turned into a smirk, and he shot her a comment that had her reeling back a step or two, wondering if she actually heard him correctly. “I should slap you for even suggesting that,” she managed. He roared with laughter. “Like it rough then, darl’?” He turned on his heel and clomped back across the verandah to his truck. Lucy waited until he was out of earshot before shutting the clinic door—firmly. She screamed with frustration. How could he do that to her, every single time? “I wish he didn’t. Let’s get this lot put away, then go grab lunch before the afternoon clinic starts.” She tucked the errant strand of hair behind her ear and picked up the box of vaccine. There wasn’t nearly enough, but perhaps if she ordered more now, it would come in two weeks on the next supply truck. She could hear Jed from here, yelling and cursing at something. She shook her head. Couldn’t he do anything without turning the air blue? His shouts got louder, ending in a cry that could be rage or pain or sheer frustration. She grabbed the bag from the side and ran outside. Jed stood by the truck, wrapping a filthy rag around his hand, using every expletive she’d ever heard and a few that she hadn’t. Jed glared at her. All he wanted was to get out of here. Now. Preferably ten minutes ago, but his blasted Ute had other ideas. If he ever found out which mongrel had let the tire down they’d be sorry. He finished tying the rag around his hand. All it needed was to hold until he reached civilization tomorrow. He scowled and turned his back on her, fitting the tire iron. He needed to finish changing this wheel and he could bail. “No, I just don’t want you fussing.” He hissed in pain. He could feel her eyes on him and wasn’t surprised when she didn’t drop it. He glared at her reflection in the Ute window. “Of course it blasted well hurts!” he snarled. “I just have no intentions of letting a sheila touch me.” Talking and flirting was one thing, part of the game. Actual physical contact was something else altogether. Pain and anger tore at him. He detested being called a coward even more than he hated having a sheila touch him. But he had to concede, albeit reluctantly, that she did have a point. He needed to get out of here, and he couldn’t do that with a duff hand. “I’m sorry, I thought you liked it rough,” she muttered, straight-faced. He glowered at her, but before he had time to shoot back an even ruder reply, the kids giggled and chattered. “What are they saying?” he demanded. He slumped into the driver’s seat on his Ute and fell silent as the blonde doctor began to clean and stich his hand. There was only one thing in this forsaken world he hated more than being shown up, and that was Christians. He hated this part of his job more than anything. Being forced to have close contact with them. This doctor in particular. There was something about her that set his teeth on edge. And not just his teeth either. Every nerve he possessed went into full blown alert mode. She was dangerous. He glared at the top of her head. The sooner he was out of here, the better. The world would be a far better place if it weren’t full of do-gooders. He’d had enough of those when he was a kid. The kids laughed again. Were they laughing at him or his reaction to her? He held up a hand. “All right, all right. After you.” He followed her inside the hot, airless hut, muttering under his breath and using every cuss word he could think of and then some. She moved over to the side, and pulled a vial from the fridge. Still cursing, Jed undid his belt and zip. Jed scowled, his face burning. He swore loudly, not caring if he upset her delicate nature. The uptight woman stood there with a smirk on her face. Did she get a kick out of humiliating him? Well, two could play at that game. And this was one game he was exceedingly good at. He did up his zip and ran his tongue over his lips as suggestively as he could. He undid his shirt, one button at a time, taking his time over it, keeping his gaze firmly on her ample figure. “Wanna bet?” He pulled away from her, sliding his arm back into his shirt. The movement made him swear again—not even the tattoo on his ankle had hurt that much. This time his well-chosen expletives made her blush properly. “Thanks.” He didn’t mean it. He didn’t want to stay. “I need to radio the base, let them know.” He did his shirt up, ignoring the pain. He’d had worse, done worse, and he wouldn’t let this get to him. “Cheers, mate.” Jed stomped outside, letting the door swing shut behind him. Perhaps he could avoid the sheila until morning. Or until the next time he had to come and deliver her supplies. He shoved his injured hand into his pocket and glanced at the Ute. It was still propped up on the jack. “I’ll get the boys to replace the wheel for you,” Tim said. “Cheers.” Jed nodded to him. The bloke never had a hair out of place and his shirts always looked immaculate. He could have stepped right out of a clothing magazine rather than a hut in the middle of a jungle. Jed humphed. He had no intentions of getting to know the woman. Now or ever.